From the fullness of his grace, we have all recieved one blessing after another. Summary: If you are looking for a great little book to help you write extra-special notes to your friends, loved ones and co-workers on just about any occasion, this is a wonderful resource to have! Have you ever found yourself wanting to write something meaningful to someone you care about, but had difficulty thinking of what to say? This is the book I have often wished for when trying to find the right words for special occasions and situations! Since I love being creative and I love saving money (Wow, greeting cards are expensive these days! ), I often make homemade greeting cards or gift tags, but coming up with thoughtful messages to write inside is not always as easy. This lovely little book is full of a thousand thoughtful things to say when you need ideas! 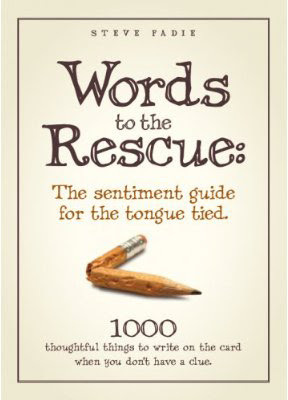 Words to the Rescue includes messages for so many occasions: Birthdays, Congratulations, Anniversaries, Apology, Encouragement, Sympathy, Weddings, Thank Yous, Romance, and many many more... I like the fact that you can use the ideas word for word, tweak them to make them more personal, or just use them as inspiration to create your own. This pleasantly-designed little book would look great in a gift basket or makes a great gift with note cards or stationery and a pen or even card-making supplies for a crafty friend. Anniversary: How much stinking happiness can one guy take? Apology: I hope these flowers get me in the door/ 'cause what I did I won't do no more. Birthday: To my down to earth buddy who's older than dirt. New Home: Kick back and relax. You'll be making regular trips to the hardware store soon enough. Overall, if you are looking for a great little book to help you write extra-special notes to your friends, loved ones and co-workers on just about any occasion, this is a wonderful resource to have! Want to buy it? : You can purchase this book for $9.95 here on Amazon.com or from the Words to the Rescue Website. Win it! The Author has generously offered a copy of this book to three lucky Be Blessed readers! Entry #1: To qualify for this giveaway just visit WordsToTheRescue.com and leave a comment about the book there and then come back and let me know that you did. "Like" Be Blessed on Facebook and/or vote in my giveaway poll in the upper right. Leave a comment telling me about the occasions you would most like to use this book. Let me know where you heard about this giveaway. 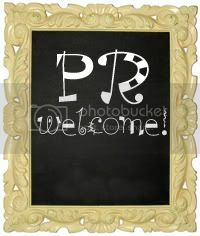 This giveaway will end April 20th, 2011 at 11:59 pm (EST). The giveaway is open to US residents only. 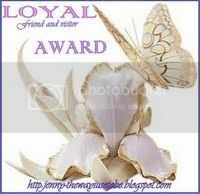 The winner will be chosen using random.org and I will be notifying you by email. The winners will have 48 hours to respond or a new winners will be chosen. Disclosure: We received a copy of Words to the Rescue to review. The opinions I have expressed are my honest opinions and have not been influenced by the companies providing the free product. No other compensation was received. Do your kiddos ever wait to get sick until late at night, on the weekends, holidays, etc...or is that just our kids? We could not have received this book at a better time! My whole house has been full of germs the past couple weeks and we were able to really put this book to good use! If you are not familiar with material from Dr. Sears, he is a favorite resource in our house! He and his wife Martha and his sons Robert, James and Peter have written numerous books and articles on birth, breastfeeding, childcare, health, nutrition, discipline, etc... 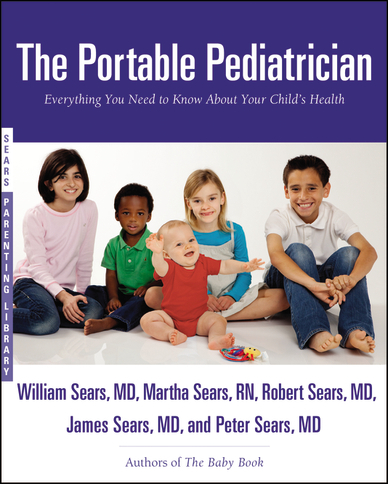 The Portable Pediatrician is a 575 page compilation of all kinds of health related issues for childhood from birth to adolescence. Four Things all Parents Must Do to Keep Their Children Healthy: I love the fact that this book talks about preventative health, nutrition and natural ways to keep your children healthy! Well-Baby and Well Child Exams: How to Get the Most out of Your Parent-Pediatrician Partnership: This section covers questions about the different stages of child development, vaccines and what to look out for at your child's regular check-ups. Pediatric Concerns and Illnesses: A-Z: This index is a wealth of knowledge listing hundreds of concerns and illnesses and is a great resource when trying to decide whether your child needs to be seen by a doctor or not. 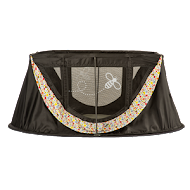 Overall this is a wonderful resource that will be used by our household for years to come! This would also make a great gift! Want to read more? 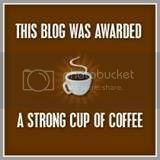 Check out the AskDrSears website for lots of helpful articles on hundreds of childcare topics. Find Ask Dr. Sears on Facebook. The Portable Pediatrician has a suggested retail value of $21.99, but you can find it on Amazon right now for $14.95. Disclosure: We received The Portable Pediatrician to review from Hachette Book Group. The opinions I have expressed are my honest opinions and have not been influenced by the companies providing the free product. No other compensation was received. Full Review: My kiddos and I were very excited about the opportunity to review Jump Start Escape From Adventure Island by Learning Adventure! We began the game by creating a completely personalized avatar called a "Jumpee". There are lots of ways to dress up your Jumpee, but you will need to earn points by playing learning games and earn "sand dollars" in order to purchase and unlock all of the choices. Once you are in there is a whole island to explore, fun characters to listen to, and barnacle bay to swim through. 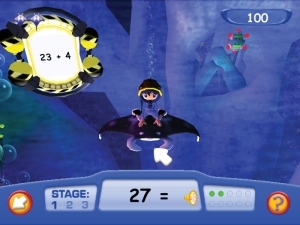 If you've ever tried Jump Start World online, this Wii game is very similar in that it is a seemingly endless virtual world full of kid games. A couple things we prefer about the Wii game are first that it is more age focused (there are no toddler games for big kids to play and earn points on) and second that the Wii controller allows for more motion-based interaction. Being a four-kid household, we wished that this was not just a single-player game, but alas, another opportunity to learn to share and take turns. Summary: If you are looking for a fun and entertaining Wii game that your 5-9 year old will love with a lots of learning games in the mix at a decent price, you'll love Jump Start World! Win It! Jumpstart has offered to give away a copy of Escape From Adventure Island for Nintendo Wii to one lucky reader! Mandatory Entry: Visit JumpStart and let me what you would like your children to learn from this game. Become a follower of this blog through google connect. This counts if you are already a follower too! "Like" Be Blessed on Facebook and leave your username. "Like" Jumpstart on Facebook and leave a comment. Follow ReviewMama on Twitter and leave your username.. This giveaway will end March 31st, 2011 at 11:59 pm (EST). The giveaway is open to US residents only. The winner will be chosen using random.org and I will be notifying you by email. The winner will have 48 hours to respond or a new winner will be chosen. 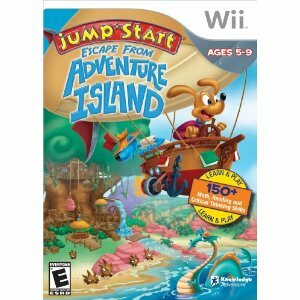 Disclosure: We received JumpStart Escape From Adventure Island Game for NintendoWii by Knowledge Adventure to review. The opinions I have expressed are my honest opinions and have not been influenced by the companies providing the free product. No other compensation was received. follow me on twitter and I will follow you!